Our Compact Fire Pickaxe may look like a simple axe, but it's made to be used daily and hard. Features include a solid construction, black coated stainless steel blade, and durable ABS lined handle. 14 in. overall. 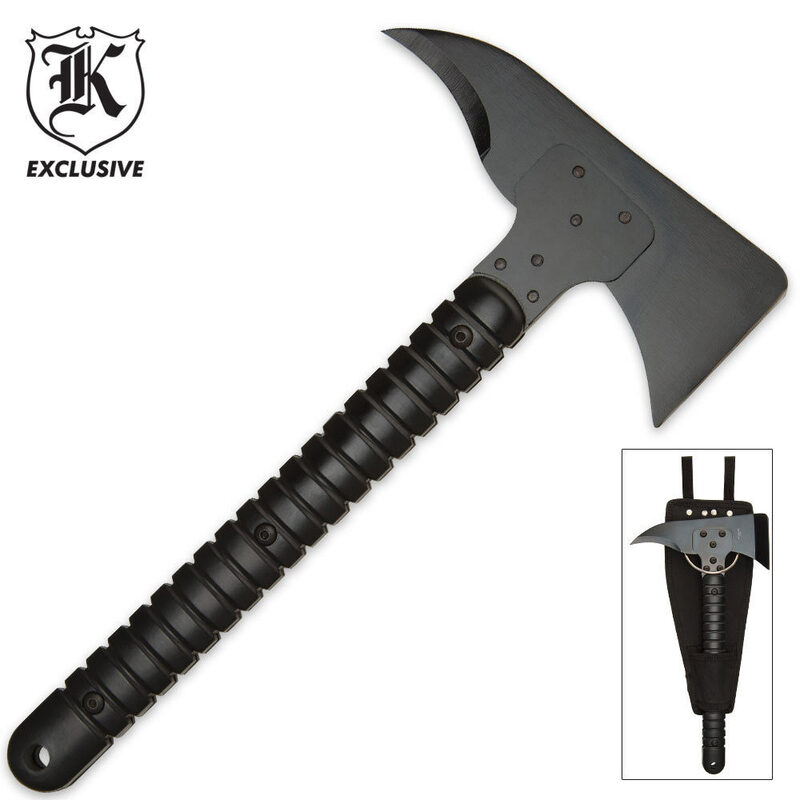 Includes black nylon sheath with metal ring.